New puppy, Zoey, gives Dog Sprinkles a rave review! "Our dogs love their superfood Dog Sprinkles! Pictured to the left are all of our beloved rescues - Faith (Tan Lab), Ollie (Black & White), and Mandy (Black). The sprinkles arrived today and all the doggies are so happy to get them again. Faith has been sick and experiencing low immunity which is why we started getting Dog Sprinkles as recommended by our vet. We really think the sprinkles are helping her feel better!" "My dog Limmy (short for Rapidash Limmerick) lost her eyes to PLL (primary lens luxation) when she was six and is now thirteen. She always remained active and happy until recently when she started to seem depressed and a little lethargic. After years without sight, I felt like she was starting to give up. I've had her on Dog Sprinkles for just a couple of weeks and she has bounced back to her old self! Two of my other dogs are on it and I see an improvement in their coats. Great stuff!" 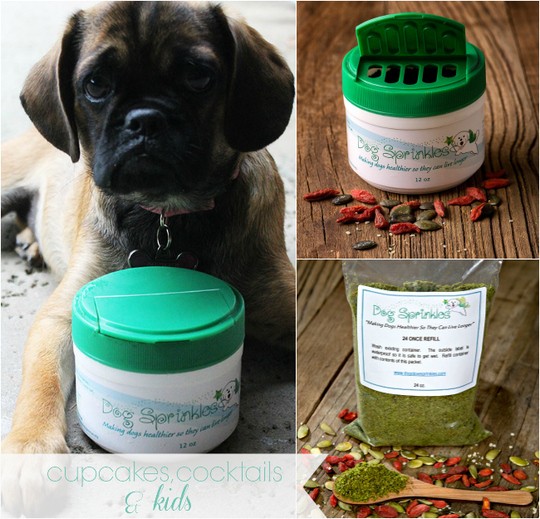 "I received Dog Sprinkles as a Christmas gift and started giving the sprinkles to my pug, Lady. Since then, she has lost weight (which is allowing her to breath better) and she seems much healthier. Her skin has also improved. Now I need some cat sprinkles for my cat!" "Thank you Steph!! Your product REALLY works :-). My 10 year old grey (Craigie pictured to the left) has a limp in his right front leg and has not wanted to run or play. After giving Dog Sprinkles for a couple of weeks every day he is running and playing. Seems much happier :-). I love it!!! Thank you!" "My husband and I always struggle to get our Huskie, Shadow, to eat and gain weight. 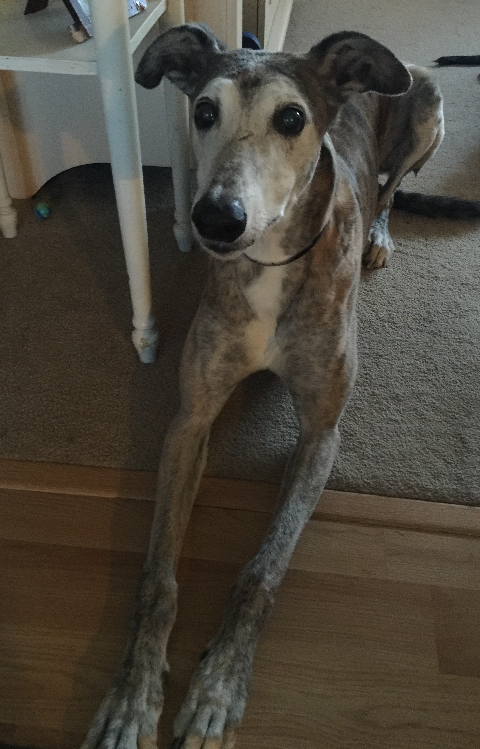 When we used the superfood Dog Sprinkles his appetite returned, he started eating, and is now barking for his food! He is even prancing around again, something he used to do years ago. Thank you!" “My dog Lily, a rescue from South Korea, has not been able to eat her dog food. Instead, she has been eating my cat’s left over weight-control cat food. I tried the Dog Sprinkles on her food and to my surprise she starting eating her dog food! I can’t say enough about these Sprinkles…they got my dog to stop eating the cat’s food and start eating her food!" "Our Dog Sprinkles holiday giveaway winner, says her dog Basie enjoys the sprinkles and they have made a marked improvement in his tear staining problems." 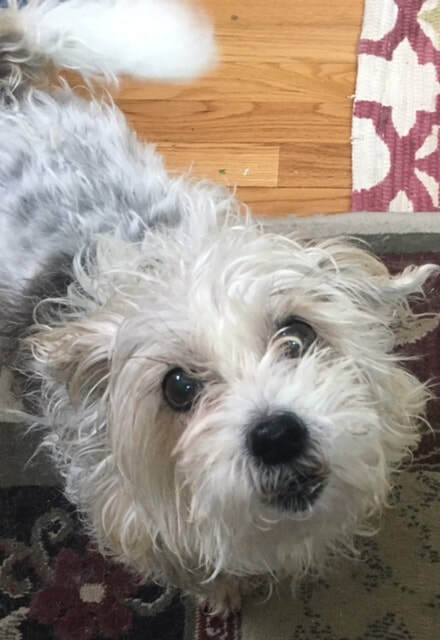 "I wanted to let you know that my senior dog, Cricket, is completely obsessed with your superfood sprinkles! He thinks they are the most delicious thing ever made. He would eat the whole container if I let him! Thanks for putting such a great product into the world and letting me know about it. I am spreading the word!"